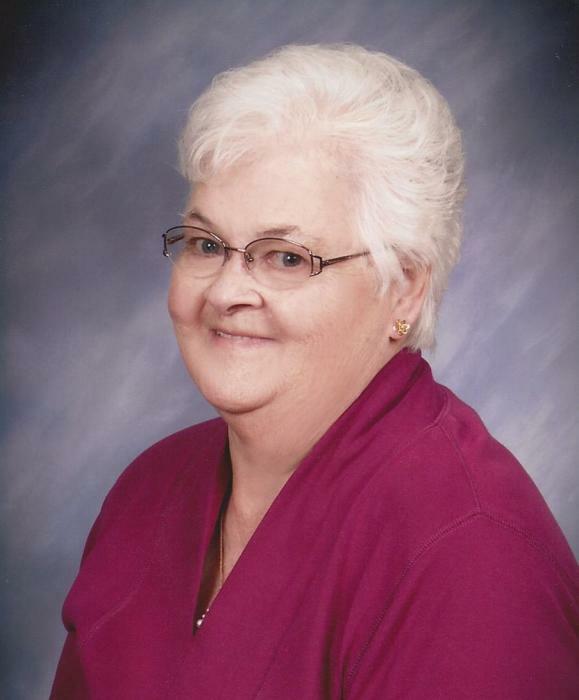 Obituary for Violet L. "Tiny" (Artus) Dvorak | Peterson Kraemer Funeral Homes & Crematory Inc.
Violet L. “Tiny” Dvorak, 87, Edgar, died Monday, April 8, 2019 at Copperleaf Assisted Living, Marathon, under the care of Aspirus Comfort Care and Hospice Services. She was born June 14, 1931 in Edgar, daughter of the late William and Magdalena (Fochs) Artus. On February 7, 1959, she married William J. Dvorak at St. John Catholic Church, Edgar. He preceded her in death on October 4, 2001. Tiny was a lifetime member of St. John Catholic Church, a member of the St. John PCCW and a founding member of the Circle of Joy in Edgar. Among her favorite pastimes, she enjoyed putzing around in her flower garden, sewing and making quilts, and was well known as an excellent cook and baker. Tiny was “Grandma” to everyone and will be deeply missed by her family and friends. Survivors include, three sons, Robert “Bob” Dvorak, Dan (Colleen) Dvorak and Jon (Amy) Dvorak, all of Edgar; three daughters, Donna (Duane) Passehl, Edgar, Diane Dvorak, Edgar and Sue (Donnie) Boe, Milwaukee; nine grandchildren, Josh (Jennifer) Passehl, Amber (Kevin) Blumreich, Shelby and Lillyanne Dvorak, Mollie (Tyler) Berg, Mitchell (Cassie) Baesman, Shaun Boe, Donnie Boe Jr. and Alicia Hutchison; 10 great-grandchildren, Reid and Madison Passehl, Kinsley Blumreich, Hattie Berg, Ari and Hollis Baesman, Riley, Reid, Ryan and Ryder Hutchison; two sisters, Gladys Johnson, Wausau and Doris (Jim) Novitzke, Milwaukee; two sisters-in-law, Margaret Artus, Florida and Dorothy Artus, North Carolina; and many nieces and nephews. Besides her parents and husband, William, she was preceded in death by three brothers, Conrad “Sonny”, William and Myron Artus; and four sisters, Evelyn Franson, Mabel Dumire, Eleanor Niewolny and Adeline Artus. The memorial Mass will be celebrated at 11:00 a.m. on Saturday, April 13, 2019 at St. John Catholic Church, Edgar. Rev. Thomas Huff will preside. Visitation will be on Saturday from 9:00 a.m. until time of services at the church. The family would like to extend a special thank you to the staff at Aspirus Comfort Care and Hospice Services, the staff at Copperleaf Assisted Living and the staff at the Aspirus Wound Clinic in Wausau, for the wonderful support and compassion you gave to Tiny during her time of need.